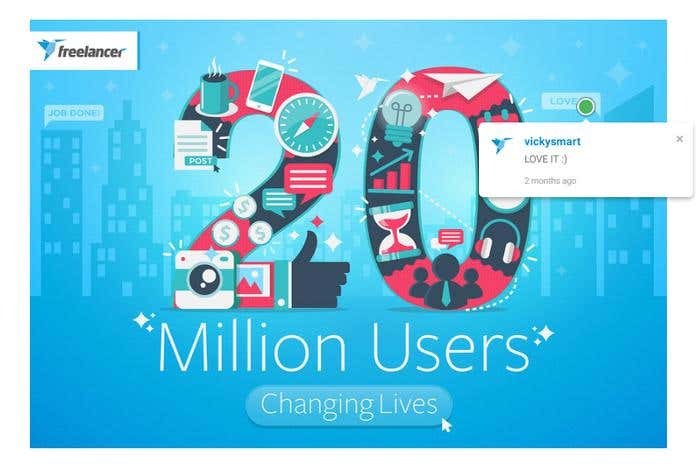 You all know that aside from being the world’s largest jobs marketplace, Freelancer.com is also a crowdsourcing platform. 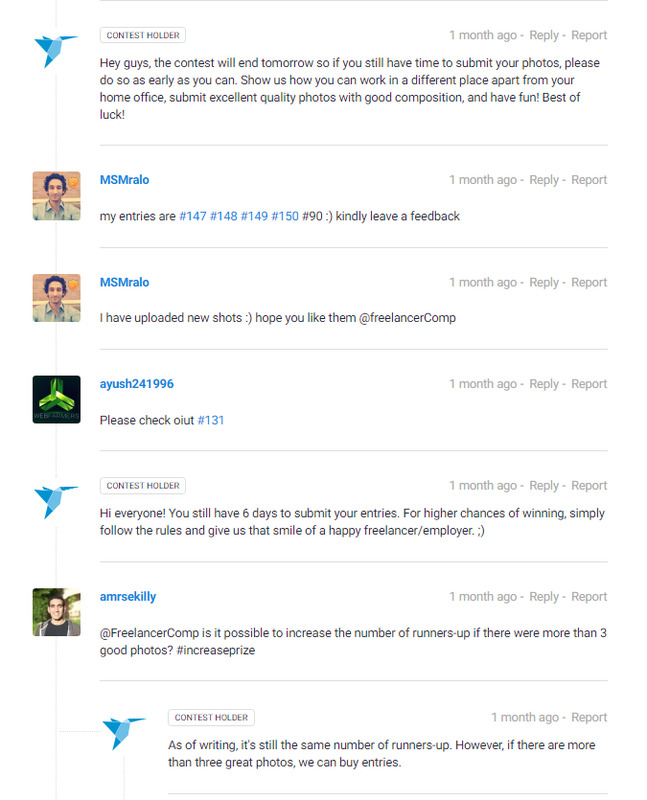 Business owners turn to the Freelancer website to post a contest that will transform their ideas into superb realities. Yes, you can post a project and hire a freelancer to design your business logo, but if you want to see more design proposals, posting a contest is the way to go. Make sure you’ve written a clear description. It will lead the participants to the kind of entries you want to see. Be as detailed as possible. Make it easy to read. Present the specifics in bulleted points. What’s written in your contest brief will be your basis in giving ratings and eventually, in choosing the winner. Five stars if it meets all the requirements; excellent quality. Four stars if it follows majority of the rules; very good quality. Three stars if it misses some of the requirements; quality is just okay. Two stars if it follows one or two of the rules; low quality. One star if it meets only one requirement; poor quality. You can take the same guidelines or have it your way. Be sure of the rating you’ll give to an entry before clicking on the stars to avoid confusion on the part of the participants. If your contest is urgent, then you have to give ratings as soon as possible. Don’t make the participants wait especially if you have comments for revision. Let them have enough time to work on a new submission based on your feedback. Make it easy to understand. Consider the participants who are non-native English speakers. Post annotations on parts of an entry you want to be changed or retained specifically. If the participant is online, discuss your feedback via chat. It’s easier and more real-time. We get it, there’s nothing sweet in rejection. But there are times that you really have to eliminate entries that don’t belong in your contest. Hit the reject button and move on. And if you’d like to, you can leave a message to explain why you’re rejecting. Constantly use the PCB to remind everyone about the rules, the deadline, and anything that can help them in creating high quality entries. Engage with your contest participants and be patient in answering every question posted on the board. 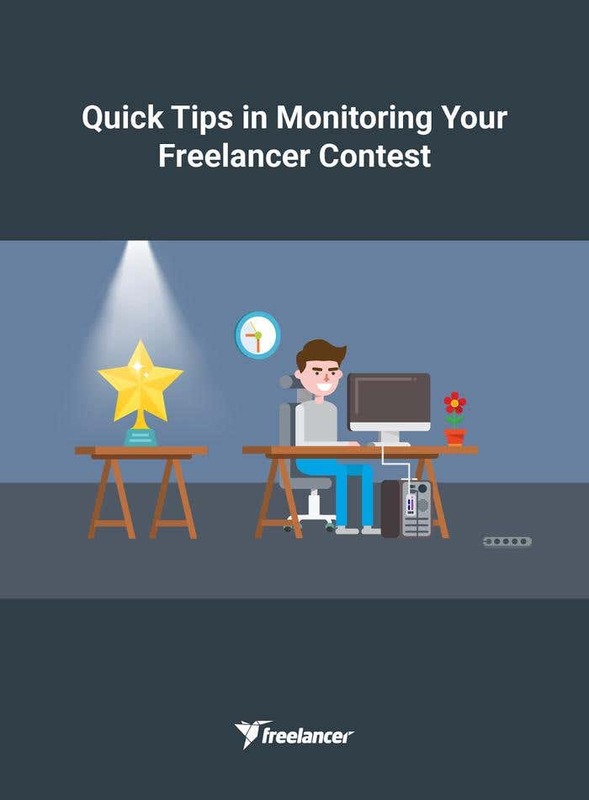 Freelancer Contest brings employers and freelancers in a win-win situation, even if there will only be one winner at the end of the competition. Employers will see a bunch of different proposals but will only have to pay for one (unless they choose to buy other great entries). Freelancers will have the chance to showcase their skills and the quality of work they can do.